Dr. Sediq Abdul Salam, Alexandria University Vice President for Graduate Studies and Research, stressed the importance of the establishment of new research labs to serve researchers and support scientific research. Furthermore, pointed out that the coming months will see the opening of some laboratories and research centers in the University, including a stem cell research center. This came during his meeting, held yesterday, with the Council of Graduate Studies and Research. He added that the university has allocated this year, 4 million pounds from scientific research fund to support capacity building. 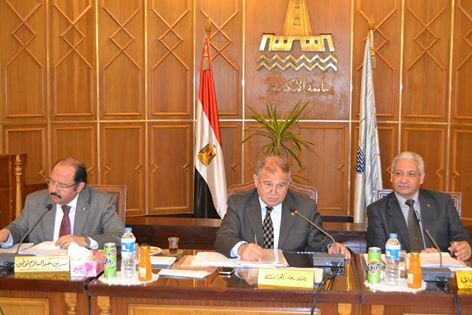 This includes the development of laboratories and the establishment of new one in the University, in addition to funding successful research projects within Alex Rep projects, referring to the University interest to maximize benefit from scientific research and support projects that meet the strategy of scientific research of the University and serve the Egyptian economy and development projects.